Learn SolidWorks API while you Watch! Macros are small programs in SolidWorks which allows to do lot of repeated or complex stuff in very short time. In other words you can take a coffee break while that tiny Macro is working for you and you get the salary for that work. Looks interesting, then read on..
Just a combo of SolidWorks and a Programming language (VB, VB.NET, C#, and C++) can make you API master. I prefer VB not because I feel it is more simple but I can understand a bit of it. 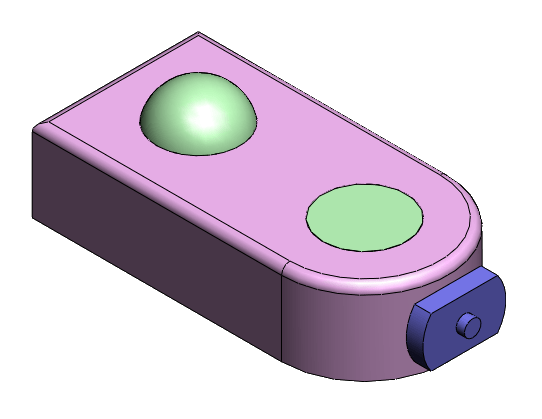 Recently I flipped over CADSharp and found a massive Video library teaching how to play with SolidWorks macro along with huge Macro library with many free examples. Keith, a former SolidWorks application support engineer, created CADSharp.com to help others learn the SolidWorks API quickly and painlessly. But that has not ended yet, CADSharp.com is proud to announce its upcoming SolidWorks API training webinars for the month of June, 2012, covering a range of important API topics. Register now and Learn SolidWorks API while you Watch! This entry was posted in Events, General, Macro, News, Solidworks, Tips n Trick, Training and tagged API, Macro, SolidWorks macros, SolidWorks VBA, VBA API, VBA Macro on May 29, 2012 by Deepak Gupta.